The iColor® 550, a versatile transfer printing solution for on-demand production of garments, hard surfaces, marketing materials, cut-sheet labels, packaging, and more. The UniNet iColor® 200, a desktop ink-based digital label Printer for continuous roll-to-roll short run label printing featuring Advanced Dual Ink Printing Technology™ allowing users for printing with either dye-based ink for vibrant prints or pigment-based ink for maximum durability, in a compact footprint. 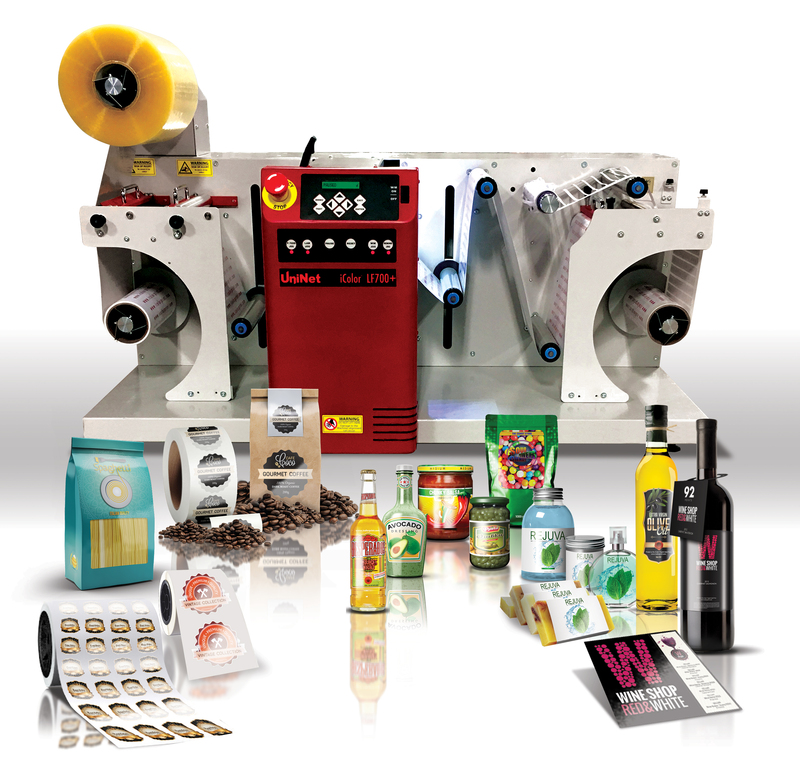 The equipment supports printing production on standard, and specialty label substrates including PET, polypropylene, vinyl and more. The UniNet iColor® LF700+ digital label finishing solution features lamination, contour cutting, waste matrix removal, slitting and rewinding in a compact footprint. After printing continuous rolls, users can develop any shape and cutline, and complete customization for short run digital label printers. The UniNet iColor® 700, a LED Toner-Based Digital Label Press, short run production featuring color, and optional white with white underprint capabilities. Unique low fuser temperature technology supports printing on standard, and specialty plastic based substrates. Also allows printing on die-cut, kiss-cut, non-cut continuous roll substrates for any market or industry.